«You know you’re a nurse if...» illustrated quotation. Funny, free quote pictures for Facebook, Twitter, LinkedIn, Reddit, Pinterest and other social networks. 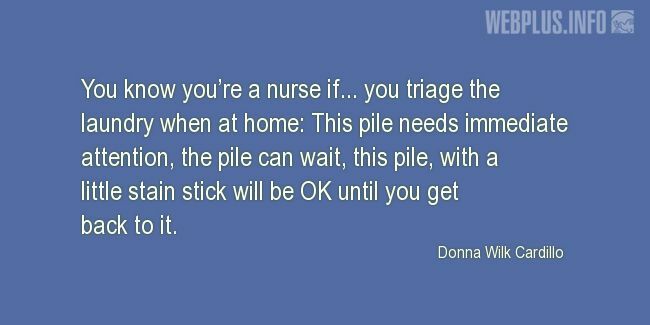 You know you’re a nurse if... you triage the laundry when at home: This pile needs immediate attention, the pile can wait, this pile, with a little stain stick will be OK until you get back to it.